Savoury crumpets and pikelets are particularly wonderful things to eat when toasted and buttered – whether or not you then want to dress them up further with cream cheese or a poached egg or any manner of adornments. 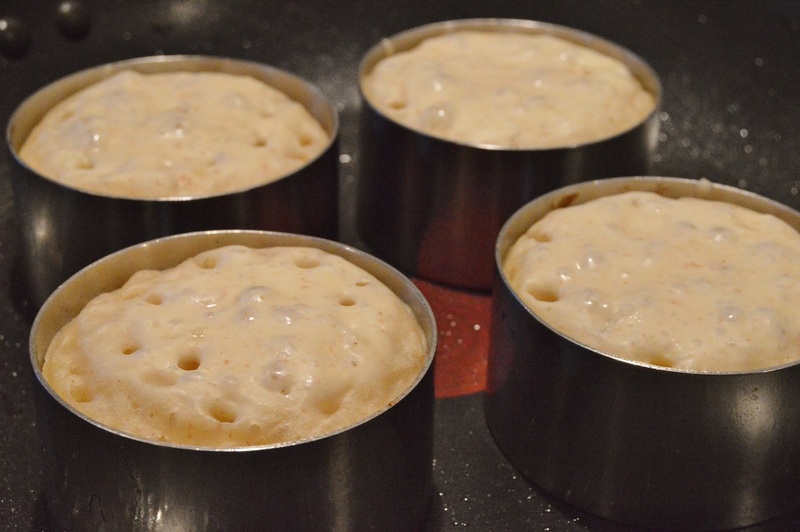 Crumpets really are easy to make: the batter is made up in moments and just sits there for a few hours until you are ready to use it, at which point it is simply a matter of slowly frying spoons of the batter, either in rings or without. 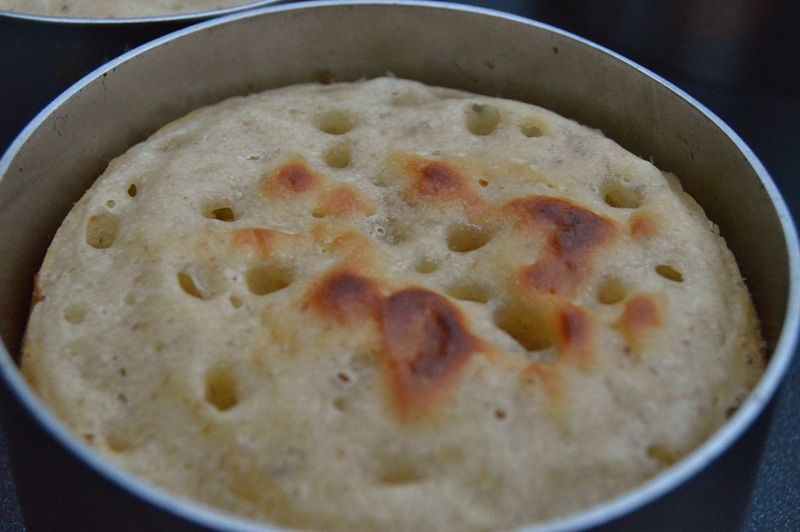 The recipe below is my twist on a standard crumpet recipe. I add cooked onions and a little mature Cheddar to the batter: just enough cheese to give a subtle cheese flavour, without over-doing it. I have added a little ale and mustard to the batter, which make these almost rarebit in flavour. If you don’t want to use ale, use all milk instead. 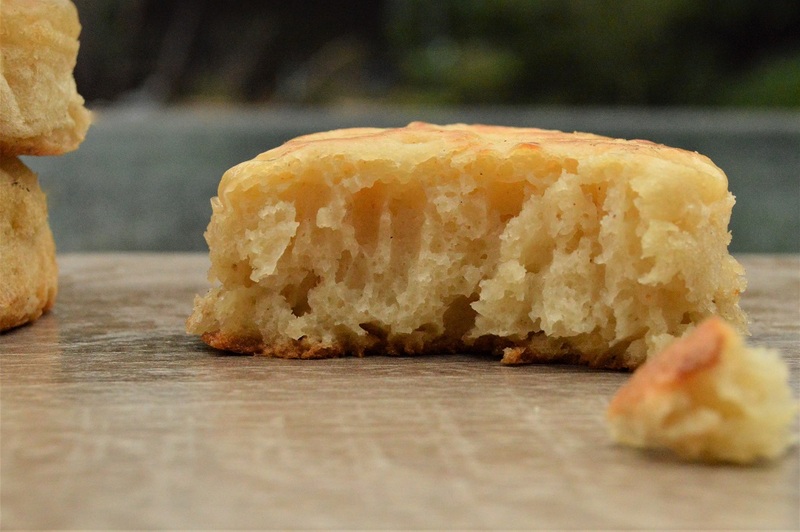 I previously posted a sourdough version of these crumpets on this blog, but this version uses commercial yeast. 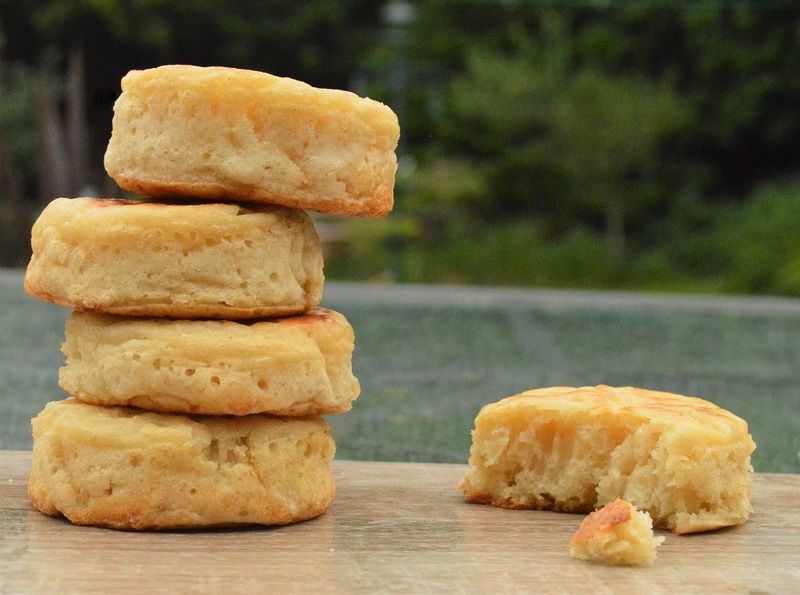 The photographs in the recipe of the batter cooking slowly are from the sourdough crumpets, but the process is exactly the same. – I like to turn the crumpets over in their ring after about 12 minutes (or once the tops have set) so that they cook through fully. If the batter has reached the top of the rings, this also gives a nice golden-brown tinge to the surface. (1) Mix the flours, salt and the mustard powder in a bowl. Add the milk and all but about a tablespoon of the ale and beat for a few moments to give a thick, smooth batter. If using dried onion powder, mix this in now. (2) Cover and leave for about 2 hours or so in a warm place until very bubbly, or place in a cooler place such as a fridge for longer (overnight for example) if you want to develop a deeper flavour. (3) If you are using fresh onions, rather than onion powder, cook them while the batter is fermenting: heat a little oil and add the onions. Sweat gently for about 20 minutes until the onions are very soft and have just taken on a little colour. Cool and then either blitz to a purée or very finely chop/crush. (4) Mix the bicarbonate of soda with the remaining ale and fold through the batter, along with the onions and the cheese, trying not to knock out all of the bubbles formed during the long fermentation. 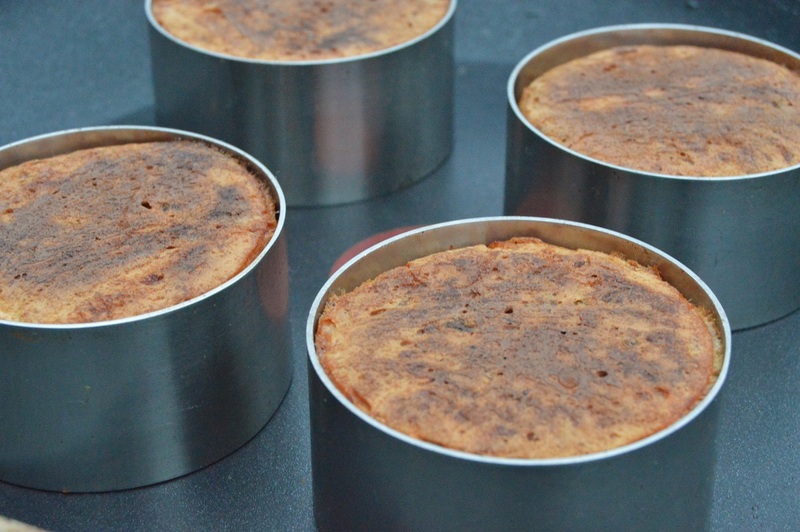 (5) Cover and leave for about an hour in a warm place, after which time the batter will be very well aerated. It should smell wonderfully fermented and wobble almost like a just-set jelly! (6) Heat a solid frying pan over a low heat for a few minutes. 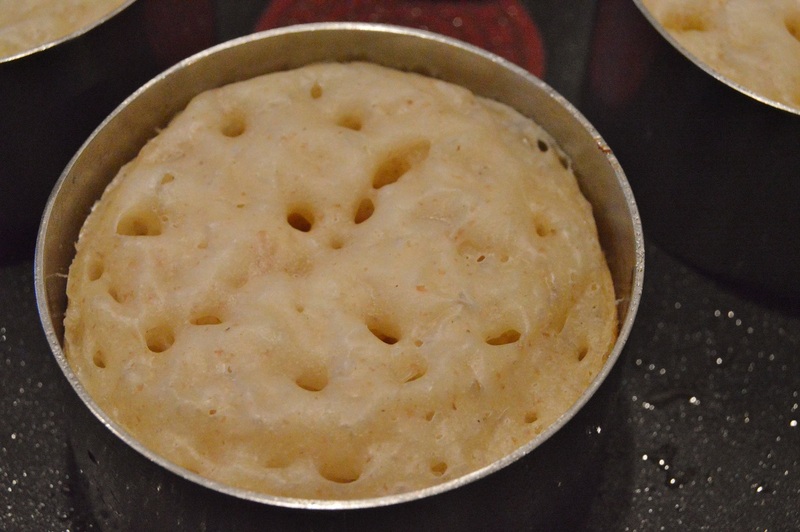 Generously brush the inside of metal crumpet rings and the hot pan with butter or oil. Place the rings on the pan over a low heat. (7) Without disturbing the batter too much, spoon some of the batter into each ring, going not much deeper than half full. Keep the heat at medium to low to begin with and don’t shake or knock the pan. The batter will rise and after about 6 minutes bubbles should appear and then burst, followed by more bubbles appearing and bursting: it is a fascinating process – you could easily pull up a chair and watch all the activity! 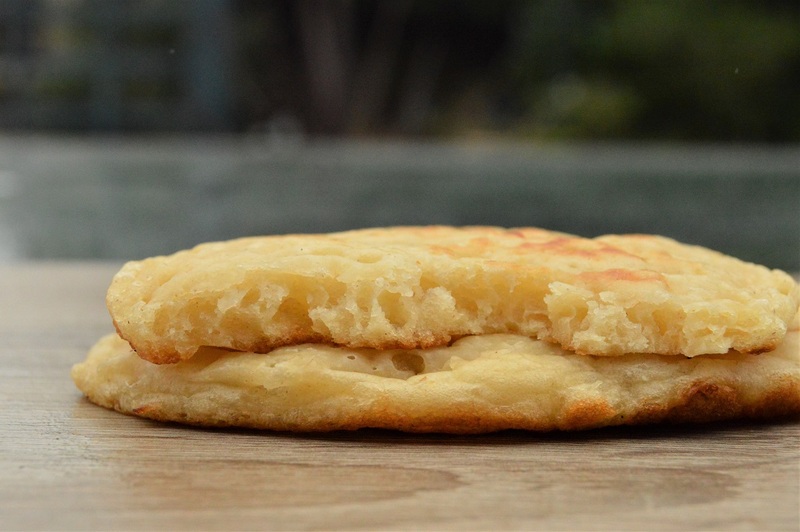 (8) Keep cooking for another 5-10 minutes, at a lower heat, until the surface has dried out and set – and not before, otherwise the crumpets will collapse. NB: patience is the key here – don’t be tempted to turn up the heat to rush things! (9) Carefully turn the crumpets over, still in their rings, and cook for a further 3-4 minutes to give a nice brown tinge to the tops. 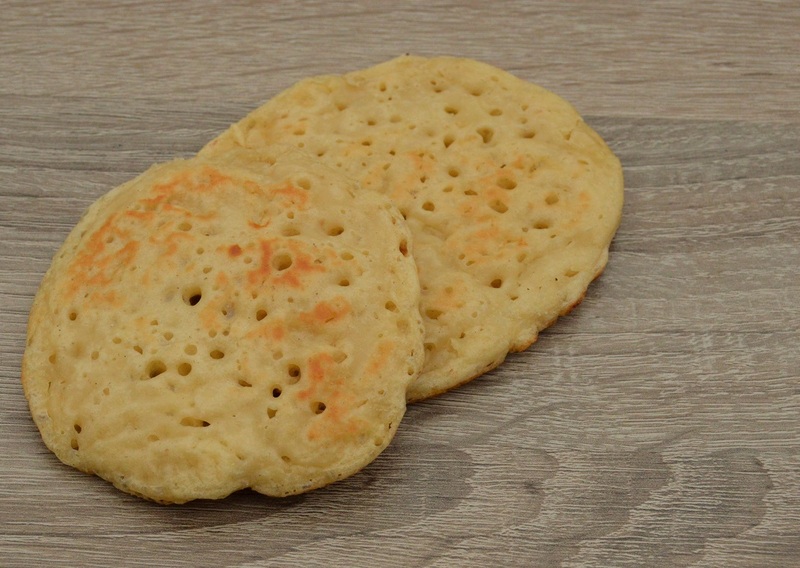 The bases should have a deep brown colour and feel very crisp: this is precisely what you want and makes a wonderful texture contrast with the softness of the inside of the crumpet. 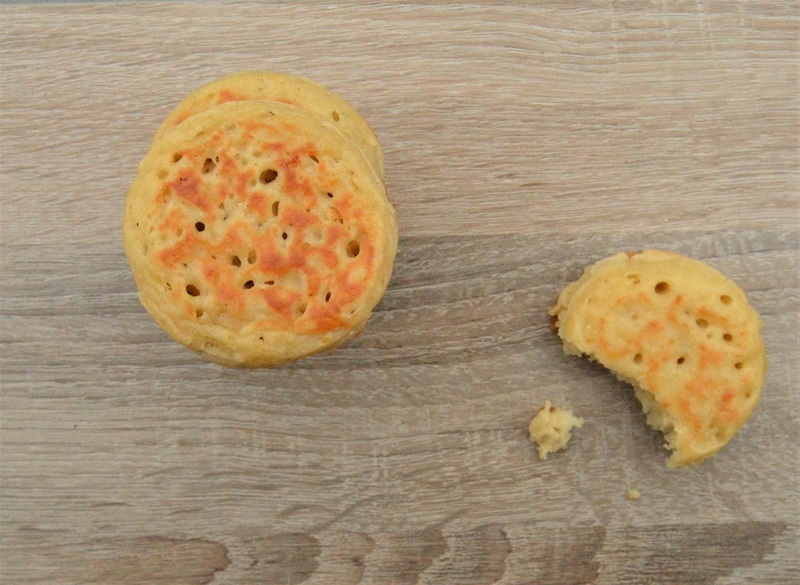 (10) Remove the crumpets from their rings carefully and serve warm – and with plenty of butter! Yumm ! This recipe of crumpet seems to be really tasty !! 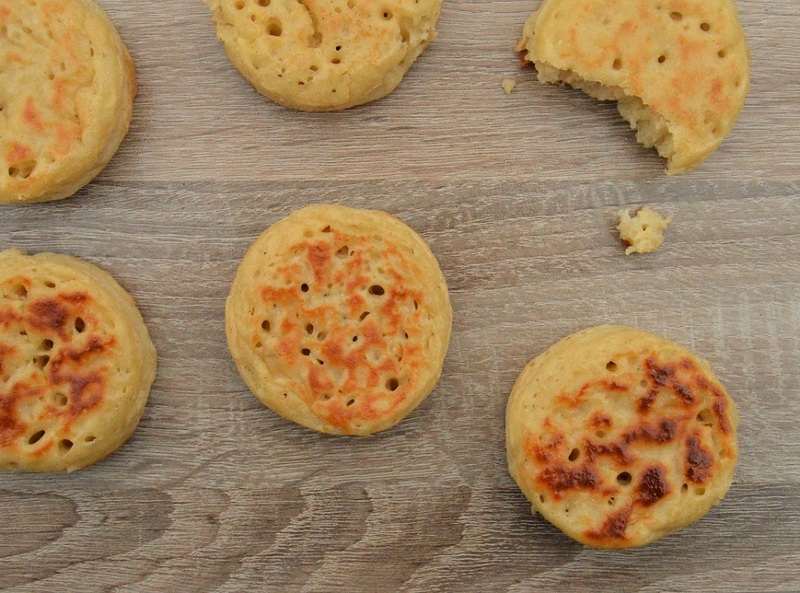 Pingback: Famous Crumpets : Cheese & Onion 🇬🇧 – Le Carnet de Recettes du Web de Mr R.